I thought I was the only one that used lunch bags. 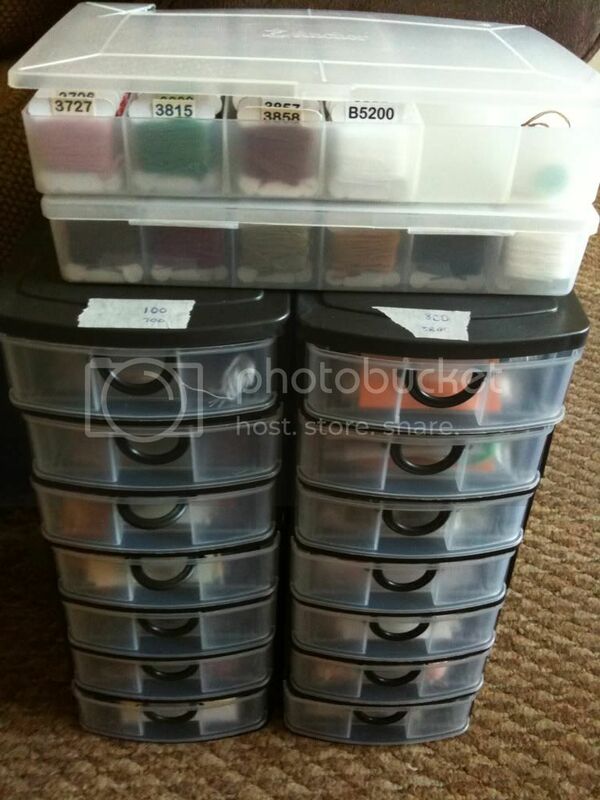 I'm swapping all mine to bobbins now too because you just can't see in the bags easily enough. I like that and would be perfect for my overdyeds. All my DMC are on bobbins and in Jammer matchbox car organizers. Dryad - week 4 - page 2 finished!